There are so many words in the English language that engage you with their sound and meaning. But for me, there is a word which has more impact than any other I will ever hear or utter. ‘One’ comes across as a lonely word but in fact it has the power to impact thousands, no millions of us in ways that can change our lives forever. After hearing the recent news I got to thinking about how the actions of one person can devastate an entire family and in this case, disillusion an entire nation. 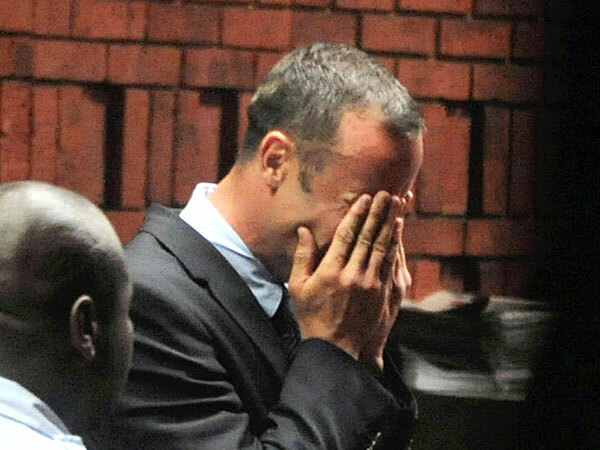 On February 14th 2013, Oscar Pistorius shot and killed his model girlfriend Reeva Steenkamp. We may never know the truth behind this tragic and senseless act and I’m not going to guess even though I have my own personal opinion. What struck me whilst I watched her loved ones speak so bravely on camera was how many people are now hurting as a result, will they ever get over the loss of a person they obviously loved very much? One act; that is all it took to send South Africa’s national sporting hero down into a dark pit of shame and the whole country to have their illusions shattered into pieces never to be glued back together again. One act that took away a precious daughter from her parents; no doubt we will be learning a lot when the trial begins. Was he the angry type? Perhaps, he seemed to me to be constantly ‘fighting,’ as if on a crusade to prove a point which inevitably leads to frustration, damage and devastating consequences. He had a lot to be proud of and thankful for; who knows what goes on a person’s mind. One thing is certain he will have to live with it…another time in his life where he is left with no other choice. When something like this happens, everyone comes together as one. This ‘one’ word is at its most poignant when people are coping with grief. Everyone from mothers, fathers, sisters and brothers who for just a moment feel a shudder at the thought of it happening in their own world. If there is any comfort to be had from this story it is that we become one. No matter the background privileged or otherwise, no matter the colour of your skin or continent you come from, I am sure we all feel at some level the pain of others especially when it involves family and loved ones. I just hope that the judicial system gives Reeva the justice she deserves and for her family the answers needed to find some kind of closure and be able to mourn her without the flashing cameras and media attention. The rippling effects of one action can be felt by many, words from one voice can change attitudes, the spark from one kiss can be the start of something new, one joke will make you all laugh and the most important of all ‘One Love’. During the bleakest and happiest of times, we will always have ‘one’ another. Which Bands Would You Like To Reform?